Want to see all the technologies used by uct.ac.za? Founded in 1829, UCT has a proud tradition of academic excellence and effecting social change and development through its pioneering scholarship, faculty and students. It is also renowned for its striking beauty, with its campus located at the foot of Table Mountain's Devil's Peak, with panoramic views of much of Cape Town. Dr Max PriceUCT is very similar to the city of Cape Town: it has a vibrant, cosmopolitan community. It is a cultural melting pot where each person contributes their unique blend of knowledge and thinking. Our staff and students come from over 100 countries in Africa and the rest of the world. The university has also built links, partnerships and exchange agreements with leading African and international institutions that further enrich the academic, social and cultural diversity of our campus. This heritage characterises the experience of studying at UCT, where our students are introduced to a life of leadership and service through social engagement. They also have the opportunity to hone their leadership skills by participating in the over 100 clubs and societies on campus, as well as in student governance. As a university we are committed to producing graduates who are not only well-educated, but also mindful of the responsibilities of democratic citizenship. This is important as higher education in general has a duty to develop an educated and thoughtful citizenry, which is a critical element of a successful democracy. This is the basis upon which UCT makes its most profound contribution to the development and transformation of our society. 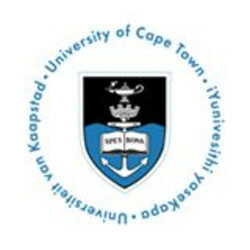 UCT's reputation for excellence is underpinned by its distinctive research, led by its distinguished faculty, many of whom are world-leaders in their field. Our researchers also teach and so ensure that our undergraduate and postgraduate students benefit directly from the latest scholarly work and discoveries. Universities have the unique opportunity to influence the future of our society by educating and shaping the future leaders of the country - both in business and government. Our reputation as a leading research and teaching university is also embodied by the quality of our alumni, many of whom continue to make outstanding contributions to society. For a quick look at additional technographic info on uct.ac.za or any domain on the web, download our Chrome Extension. Check out our help article to see how Datanyze Insider can help you.